Loch Morar does indeed have a very short river. It’s the loch, a waterfall and you are pretty much on the beach. 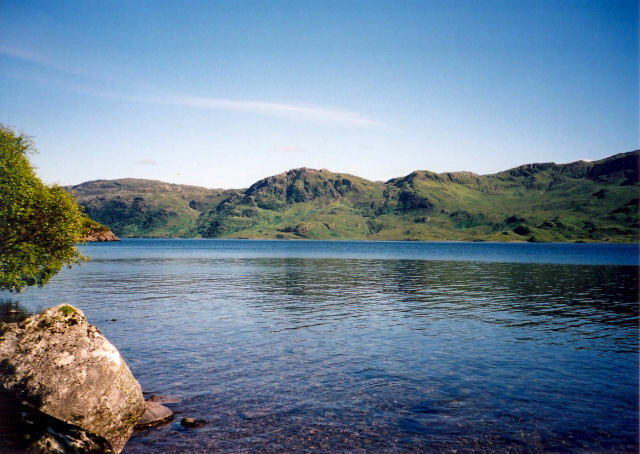 This is Loch Morar on a glorious July day in 2005. How many days a year does it look like this, I wonder?